We Rose Out of the Ashes and We Will NOT Be Erased!!! Like America, Israel is far from perfect, but we both want PEACE. It is time for true lovers of peace to unite and call it what it is. 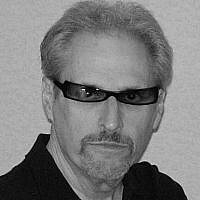 Chip Blumberg is a freelance writer and poet. He is currently working on a historically accurate fictional novella set in America during the 30s, with a decidedly Jewish list of main characters and with Jewish culture woven throughout. He is a former AM radio talk show host and long-time dealer in paper antiquities. His background is in business and professional sports management. Chip is a CPA and lives near Philadelphia, Pennsylvania with his pup.